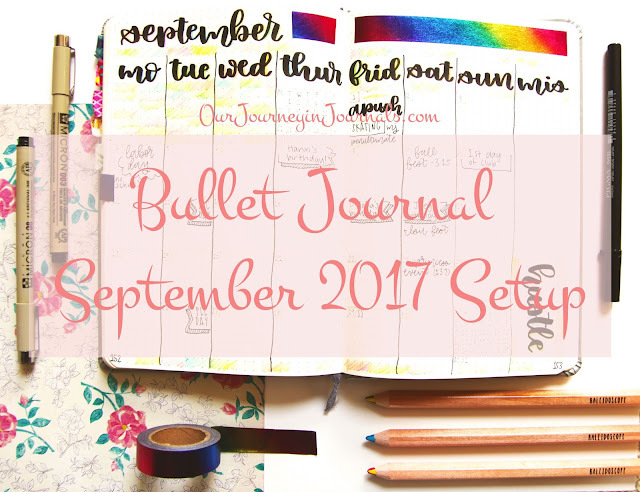 Welcome to my bullet journal setup for September 2017! As of when I'm posting this, it'll be my birthday :) (though it most likely won't be anymore by the time you're reading this post haha). Anyway, this is actually my last month in my current (and third) notebook since I only have about 30 pages left. So, I'll be needing to get a new notebook sometime in September. In August, I was purposely quite conservative with my page use to ensure that I would have enough pages to last me through the entirety of the next month. Nonetheless, here is my bujo setup for September 2017! First of all, here is my August 2017 monthly spread as of right now. I think it ended up being pretty cute! 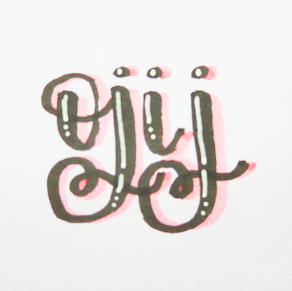 I've been really loving mixed script brush lettering lately. This is my monthly spread for September. This month, I decided to go with a rainbow theme. I'm using some foil washi tape that was all too expensive when I purchased it while I was in New York City. I'm also using a black Sakura Pigma MB brush pen and three Kaleidoscope multi-colored pencils. In addition to these things that I used to achieve my color scheme, I also used two Sakura Pigma Micron fineliners - one in the 08 size (0.5 mm) and one in the 003 size (0.15 mm). This is my bullet journal habit tracker and monthly memories spread for September. I changed a few of the habits to transition from the summer to the school year (things that I meant to do in last month's setup, but I forgot to do when setting up August's habit tracker), since school started on 8/08 for me. I plan to fill in my tracker goals once August finishes up since I use the previous month's data to figure out goals for the next. I use these goals to help get the most out of my habit tracker and measure my "success" with each habit using objective, quantitative statistics. In my monthly memories spread, I hand-letter the big things that happened in that particular month. I usually make the spread a couple of days after the month ends, and so to remember what specific events I want to record, I write them down on a sticky note throughout the month. You can just barely see the sticky note in the above picture. 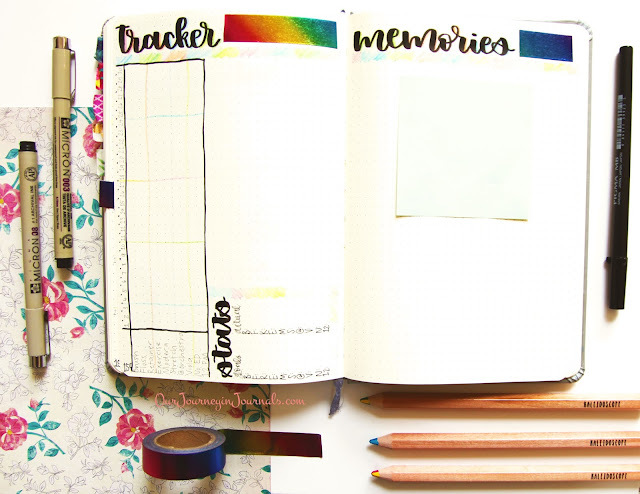 I don't have my August memories layout done yet, so here is the one from July. Anyway, that's it for my bujo setup for this month! I don't really have much to say about it . . . 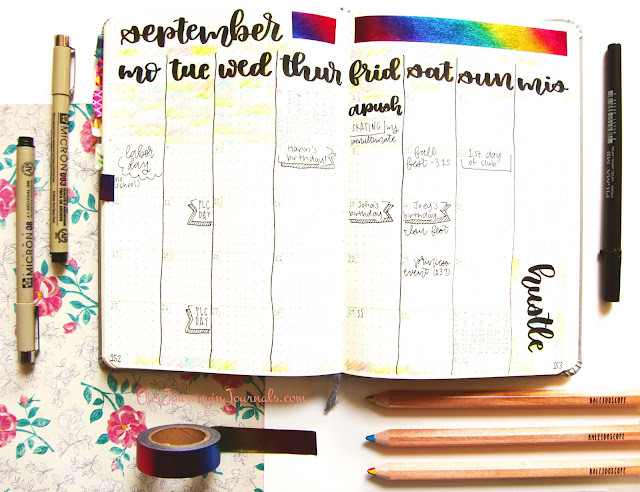 Regardless, I hope you guys enjoyed seeing how I set up my bullet journal for September! 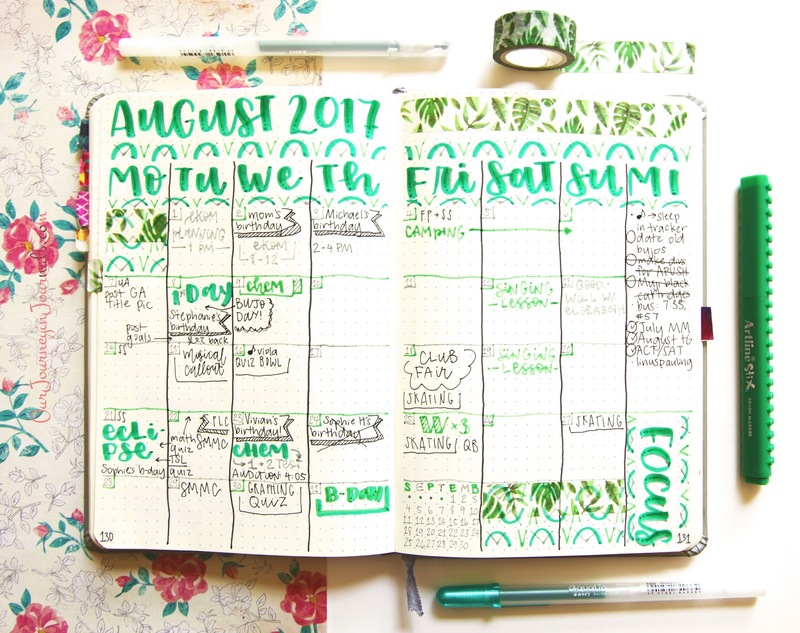 What color scheme did you go with for next month? Let me know in a comment! black magic specialist Thanks for sharing this article. You can learn many things from this. Imagination is really good.